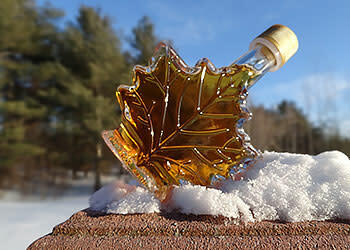 Get a taste of New York's sweetest natural treat, maple syrup. New York is one of the few places in the world where Sugar Maple trees (our official state tree) thrive and maple syrup is produced. Native Americans taught early settlers in this area how to create this delicious natural treat. 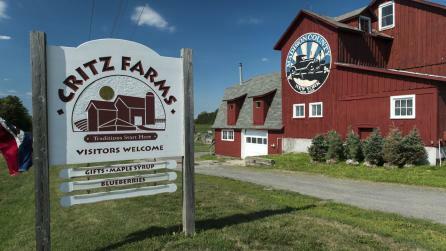 Today New York State is one of the world’s top producers of maple products. New Yorkers enjoy a rich history of celebrating maple season, which runs from late February into April (depending on weather). 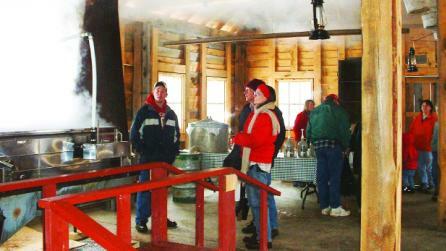 Sugar houses welcome visitors with samples, tours, and demonstrations of syrup-making, from tree to table. During Maple Weekends (March 23–24 and March 30–31 in 2019), more than 160 maple farms all over the state hold open houses. Activities at participating farms may include horse and wagon rides, snowshoeing, guided walks, and delicious pancake breakfasts. 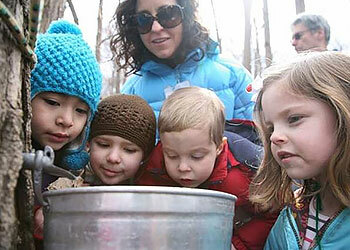 About 90 minutes north of New York City by car or Metro North Railroad (to Cold Spring), Hudson Valley Maple Farm at the Taconic Outdoor Education Center hosts family programs and a Maple Syrup festival every March. 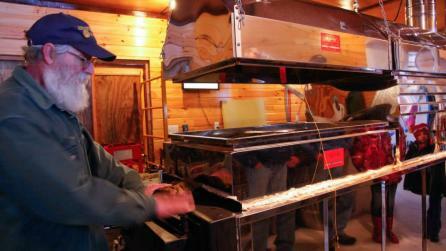 The Farmers&apos; Museum in Cooperstown presents Sugaring Off Sundays each weekend in March. Join the annual Finger Lakes extravaganza, the New York Central New York Maple Festival, in Marathon in April. Open year-round, Sprague&apos;s Maple Farms in the Chautauqua-Allegheny region celebrates maple season at their sugarhouse, with tree-tapping demonstrations and old-fashioned family fun. Restaurant menu specialties use their signature syrup as a key ingredient. 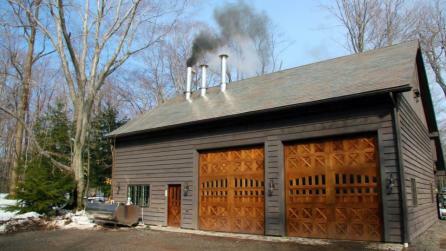 At the American Maple Museum and Hall of Fame in Croghan, take a deep dive into the sugar. You will find many maple recipes and lots more information on maple syrup, farm tours, and festivals held from February through April, at the New York State Maple Association. Wherever you go to experience New York&apos;s maple, just be sure to stock up. You&apos;ll never go back to grocery store "pancake syrup" after getting a taste of the real thing in New York. 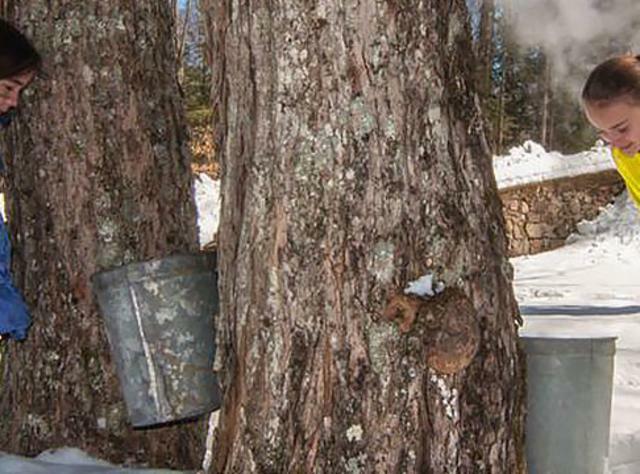 See maple-sugaring yourself at these farms and more!